A YOUNG mum-of-two has died in the nation's capital after contracting influenza as Australia's horror flu season continues, with close to 10,000 infected across Queensland and New South Wales. In NSW there were 5960 cases confirmed in the past week including more than 120 on the Mid North Coast and 179 in Northern NSW. 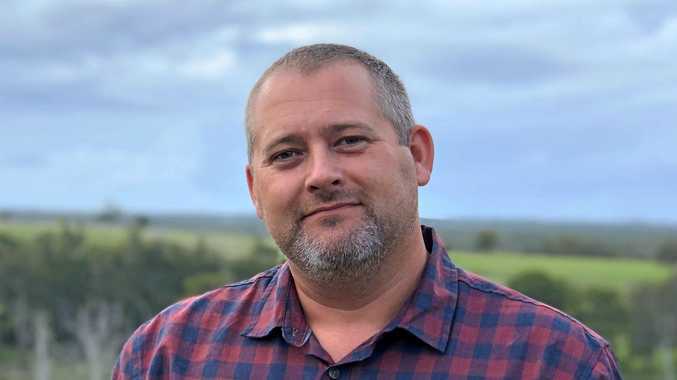 In Queensland there were 3687 new confirmed cases for that week including 286 new cases on the Sunshine Coast, 202 in Central Queensland, 62 in Mackay, 387 on the Darling Downs, 129 across Wide Bay and 758 in north Brisbane. Jennifer Thew, from Gungahlin in the Australian Capital Territory, died from acute respiratory distress syndrome at the weekend amid the worst flu season the territory has seen in five years. It's understood Ms Thew and her seven-year-old daughter had been sick with the virus for a week. 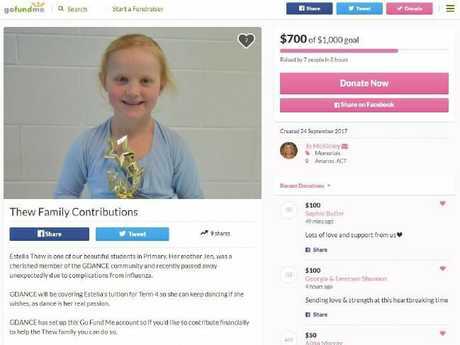 Image of the Gofundme page for the Thew family featuring Estella, daughter of Jennifer Thew. She worked as a medical receptionist in Canberra and had been vaccinated against the flu. Originally from Germany, Ms Thew, she was known to the community as a loving, involved mother who even through her sickness last week was putting her kids' needs first.